The race is on! That daunting time post-Thanksgiving, pre-Holidays when you need to find the perfect gift for the perfect people in your (mostly!) perfect life. Well, never fear - we've put together an easy guide to find the treat that suits everyone on your list, each designed and crafted by an independent artist. Feliz Natal and Happy Holidays! FREE US SHIPPING + FREE RETURNS + FREE GIFT WRAP. A Portuguese symbol of family and harmony, swallows always return to the same spot every year to nest - what could be a better treat for your mom-in-law, when she makes you feel so at home with that special dish? in Lisbon's Alcântara district, Portugal. The Cerne Decanter is a real style statement and any man in your life will just love it - a true design piece that upgrades the bar cart of any debonair host. Uniquely crafted from the core of a Mediterranean Carob tree trunk, it ships in a custom made wooden box and can even be paired with matching Cerne Rocks Glasses if you're really looking to make his holiday season. Everyday they make your perfect arrangements - repay the favor with this gorgeous vase and a bouquet of something glamorous. Minimalist and geometric, the Trapeza Paul Vase is stylish, sophisticated, and versatile enough for any decor. A real lift for any room. in Lisbon's Campo de Ourique district. Step it up at the school gates - a little love goes a long way (especially if the report card needs some TLC!). These mugs stand out on the shelf and feel great in the palms on stressful days. A luxury touch but practical enough to be dishwasher safe, these mugs hold just enough thanks and a perfect serve of the joe. in the Lisbon's Estrela district. Along with a decent bottle of vinho verde, these little totem vases really bring a piece of Portugal to the perfect hostess to appreciate their festive efforts. Whatever their taste, these will find a home that reminds them of you and lets them know you're grateful. The scale of these bowls really makes an impact. The elegant organic curves of the Demi-Dipped collections are ingeniously formed from the smooth shape of an oval balloon, allowing each piece to have beautiful variations in shape and color intensity. Great as a dinner table focal point or just to love from afar in a well styled home. Dishwasher safe. New this season, you can snuggle up through the winter with this gorgeous throw, a great accent for any room and safe to throw in the wash. Guimarães in the north of Portugal has been a global center of textile quality since the 1700s, and we've partnered with a family of fourth-generation weavers who draw on this heritage as we introduce this cozy and practical reversible cotton throw. 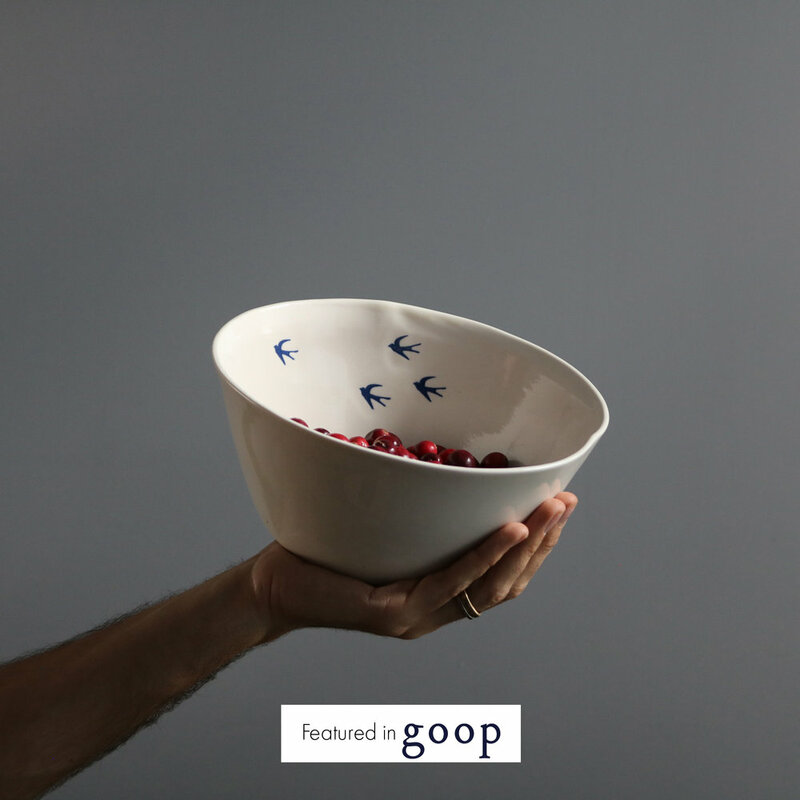 Made from molds of strawberry branches, the Ramo Bowl is a unique catch-all for the entryway, a fun candy bowl in a living room, or the perfect vessel for your favorite succulent. Give a touch of nature. We love this natural branch texture on the Small Ramo porcelain vase. Cast from a mold of strawberry branches, the matte finish vase is a great gift that looks special on its own or enhanced with your favorite greenery. Want to give someone the joy of the hunt? Why not send them a gift card so they can choose for themselves! Arriving via email or in a neatly wrapped gift-box in the mail, a LUSITANO1143 gift card could be the prefect gift. Wrapping and mailing all free of charge.